At TDSP Translators, our certified translators perform all specialty services that require certified translation. Part of our certified translators’ prerequisites is that they have a complete understanding of the courts in the country where the translation is to be used. 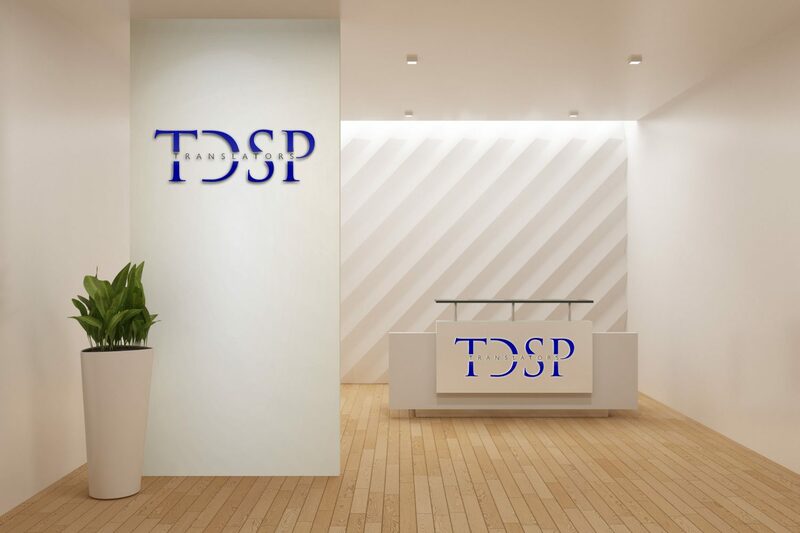 TDSP Translators can provide you with a certified translation that is valid to use in foreign courts as well as those within Nigeria and the United States, with immigration officials, and governmental authorities alike. We guarantee that a professional translator, with an extensive background, will craft your translation document. Also, your certified translation will be thoroughly checked by our industry-experienced proofreaders and project managers, plus the final translation will be certified, signed and sealed by the certified translator. In addition to our dedicated project managers, who will go the extra mile to meet your specific needs, TDSP Translators has professional German translators who carefully craft each of your translation assignments. Our translators are also qualified experts working in their particular specialty fields, including: law, finance, business, engineering, advertising, medicine, and many other areas. We are also able to offer NDAs (nondisclosure agreements) on your projects, assuring you that we will protect the confidentiality of the information you have entrusted to us. At TDSP Translators, we provide quality German language translations to hundreds of our satisfied clients. TDSP Translators human translators have in-depth knowledge of the industry or field of your translation. To illustrate, our professional German legal translators working in the legal field are certified and registered with different courts worldwide, which means any translations they produce are accepted as legal and binding. TDSP Translators management team follows strict quality guidelines to assure that each translation project is completed accurately based on high quality standards, and delivered to the client on time to meet the required deadline. TDSP Translators employs native-speaking German translators who craft translations based on their knowledge of language, not software. Our translation services are able to provide professional German translations in a wide variety of fields from German translators who are specialized in the field that the translation is needed. For example, our industry-experienced legal translators will produce your legal translations, and the same formula applies to our business, finance, technical, and desktop publishing translations. The most common language pairs that TDSP Translators can provide are German to English translation and English to German translation. English is considered to be a universal language since a large percentage of worldwide businesses use it to communicate every day. German businesses—such as automobile manufacturers, telecommunications companies, and media production houses—can promote their products effectively in English-speaking consumer markets by translating their German materials into English (German to English Translation). The reverse process can be equally effective for different businesses from English-speaking nations, such as Nigeria, the United States and the United Kingdom targeting German-speaking consumers. Companies looking to expand into these markets can then take advantage of the English to German translation services offered by a professional translation company like TDSP Translators. Our professional English to German translators can translate their documents and materials into German in a time-efficient manner and with pinpoint accuracy.